C.F. 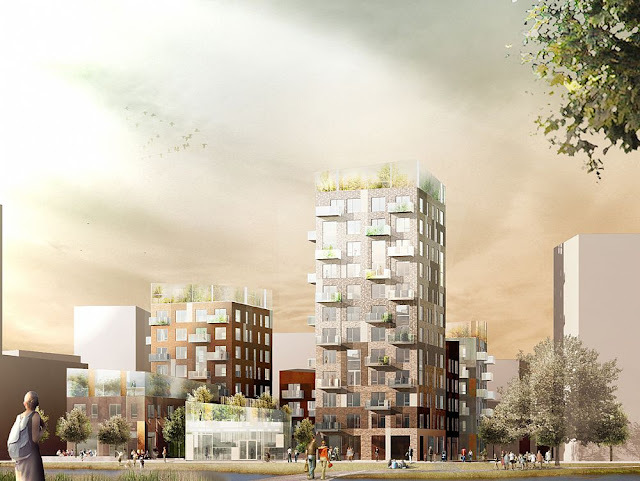 Møller Architects have unveiled designs for a new residential area in Stockholm, Sweden, based on a vision for a sustainable urban lifestyle for modern city dwellers. 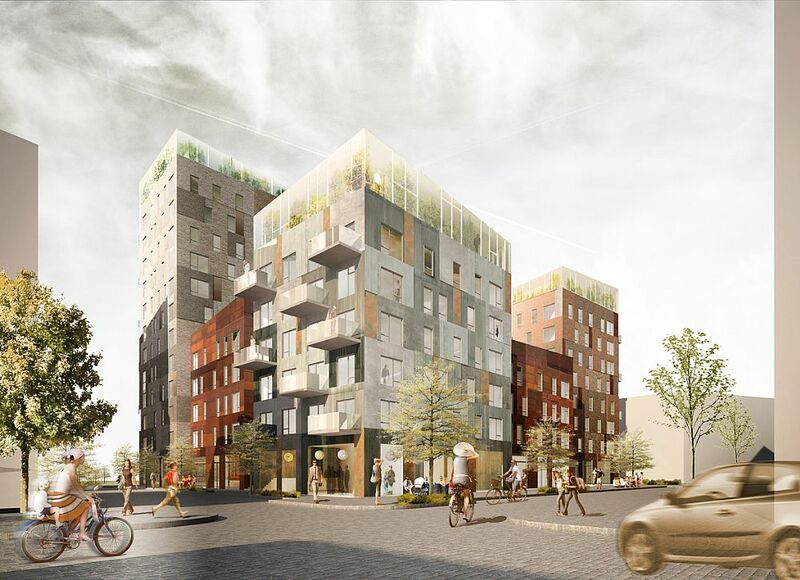 The residential quarter is part of the current master plan for Årstafältet, which focuses on transforming former green peripheral areas of the city into diverse and vibrant neighbourhoods with an environmentally sound and socially sustainable profile. The neighbourhood consists of seven individual buildings of varying character, height and facades that are centred on a courtyard. The courtyard is designed with green, south-facing terraces, and allows for urban agriculture and can be regarded as a ‘pantry’ with locally produced goods. 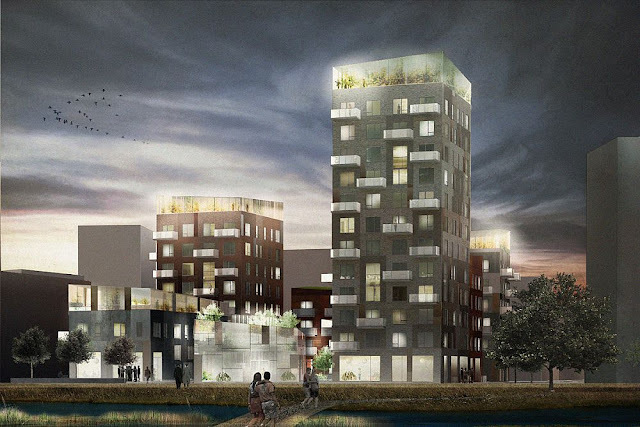 In the node where the local main street, 'park pier' and promenade meet, there will be a small public square with restaurants. The project is expected to be built between 2015 and 2017.